Old Turn Junction viewed from the Oozells Street Loop. Looking along the Oozells Street Loop towards Old Turn Junction which is immediately beyond the turquoise coloured bridge. Deep Cutting Junction is immediately beyond that. Beyond that bridge the Birmingham Canal Navigations (BCN) Main Line leads to Gas Street Basin and Worcester Bar on the right, and Wolverhampton on the left. 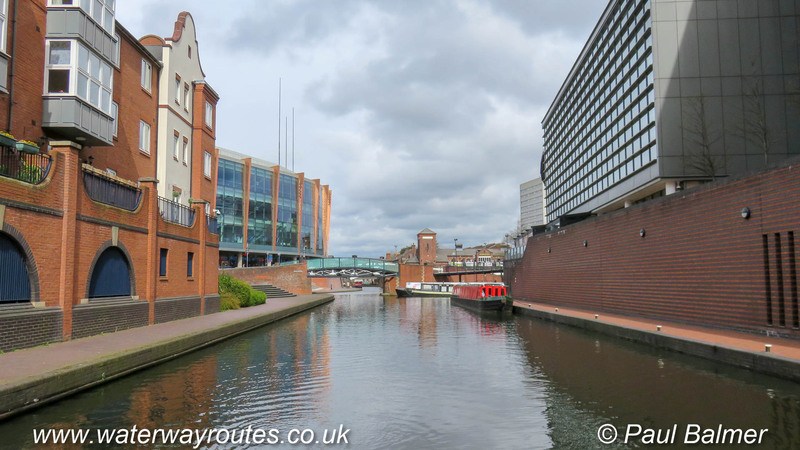 Almost straight ahead, at Deep Cutting Junction, the Birmingham & Fazeley Canal leads to Fazeley Junction.